And with this year’s <insert comment about championship>, it wasn’t an easy call to decide who deserved what spot in our top five riders of the year in the class. Here’s what we think - but feel free to disagree with us in the comments! The Bennetts Superbike Championship started with a shock this year as young gun Bradley Ray stole the headlines with a surprise double in the opening round at Donington Park. 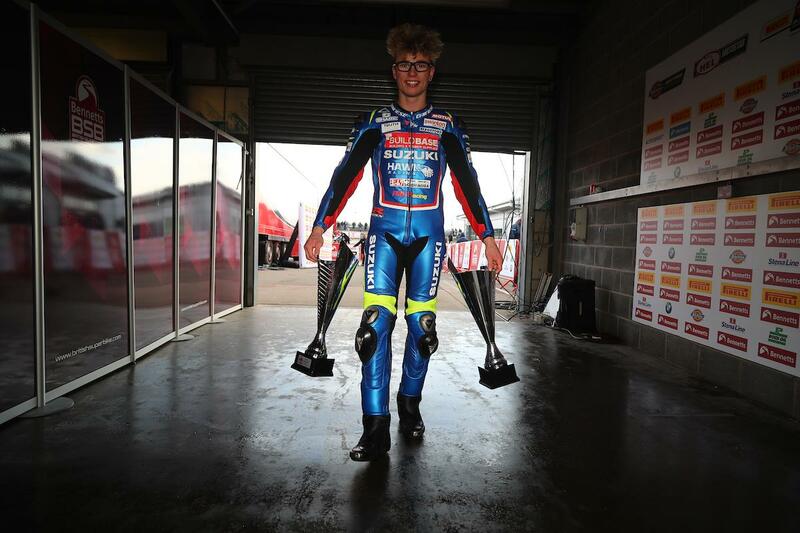 The lanky, big-haired Suzuki rider had just one podium to his name before heading into the 2018 season, but he waited no time asserting himself as a title contender with a convincing double at Donington, blitzing the opposition in challenging conditions. He’d go on to push six-time champion Shane Byrne for victory at Brands Hatch, but after that Ray and the Buildbase Suzuki team sort of drifted by the wayside. A tough few rounds put his Showdown contention at risk, until a comeback at Cadwell Park saw him finish second twice to re-ignite his title challenge. And while he’d finish sixth in the championship after a difficult end to the year, Ray’s achievements for a 21-year-old in just his second year in the class cannot be criticised and he goes into 2019 in a strong position with the same team.